At the Yooji’s in Josefstrasse, you can enjoy Yooji’s diverse selection of sushi creations, soups, salads, desserts and veggie dishes in the trendy area of District 5, on a side street of the lively Langstrasse. The main attraction is the in-house Sake bar, which offers one of the widest ranges of the “nectar of the gods” far and wide. Our guests can enjoy their meals at the Kaiten, à la carte or outside on the terrace. 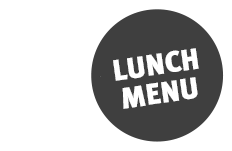 Our lunchtime specials are available from the Kaiten or à la carte.